‘A chilling novel of witchcraft and suspense that’s not for the faint-hearted’ – Woman & Home. 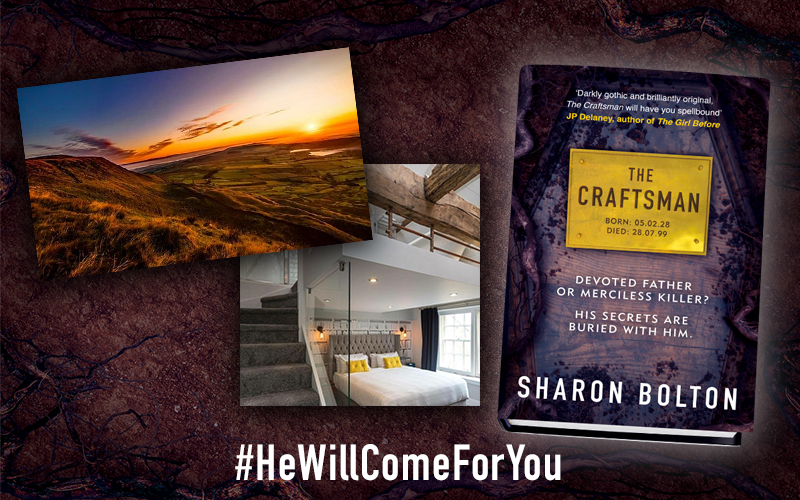 To celebrate the eagerly awaited new thriller from bestselling author Sharon Bolton, THE CRAFTSMAN, we’re giving you a chance to win a bewitching weekend away to the beautifully eerie and fascinating Lancashire that serves as the background for this gripping tale. In partnership with Visit Lanchasire you could win a 2-night stay at boutique hotel, The Lawrence, with breakfast included. You can explore the stunning countryside that’s home to local lore and outstanding natural beauty during hill walks or settle down for the evening in one of the area’s cosy pubs. The perfect escape. Larry confessed to the crimes; it was an open and shut case. But now he's dead, and events from the past start to repeat themselves. Did she get it wrong all those years ago? Or is there something much darker at play? ‘Filled with intrigue and suspense. THE CRAFTSMAN is spellbinding’ – Clare Mackintosh.